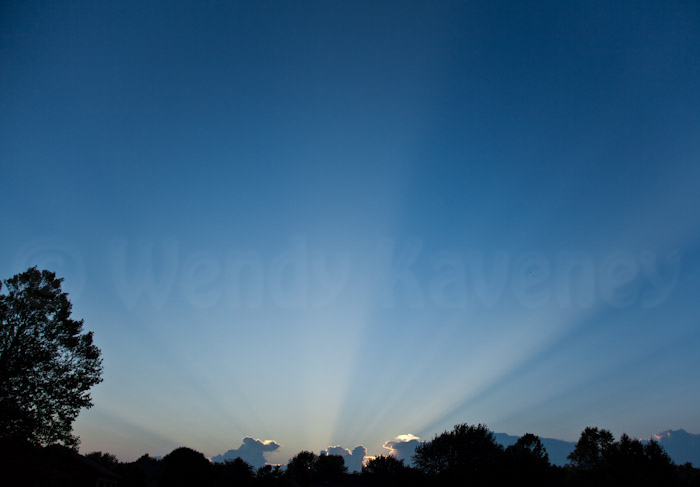 Crepuscular rays are rays of sunlight that appear to radiate from a single point in the sky. 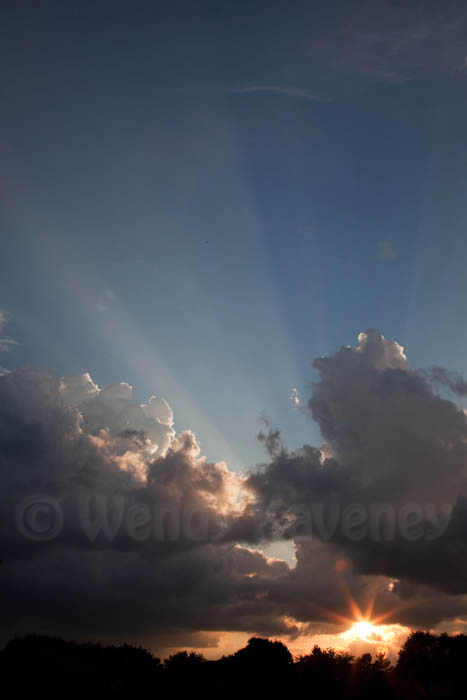 These rays, which stream through gaps in clouds are columns of sunlit air separated by darker cloud-shadowed regions. 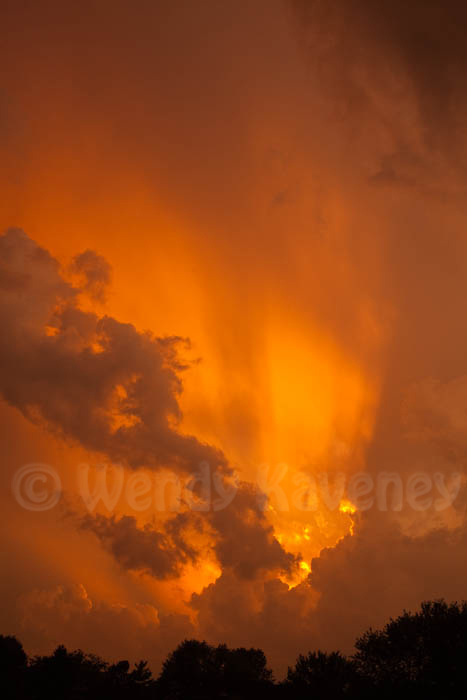 "Crepuscular” means “pertaining to twilight,” and the rays occur around dawn and dusk when the contrasts between light and dark are the most obvious. The contrast is what makes these rays of light so visible. The name fits them well since they seem to originate directly from heaven. I never tire of witnessing this scientific phenomenon.